An Italian celebration of complex relationships, Marriage Italian Style bravely navigates the hazards of a long-term love reaching a moment of truth after years of persisting outside societal norms. 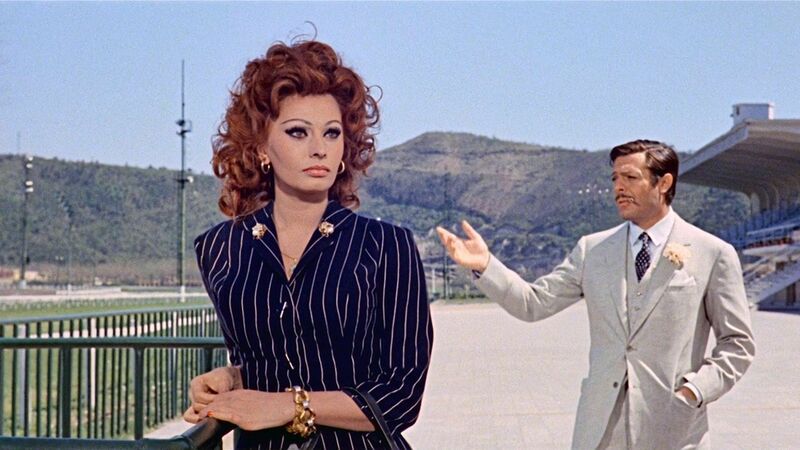 In Italy, fervent Filumena (Sophia Loren) causes a stir when she faints and appears to be near death. 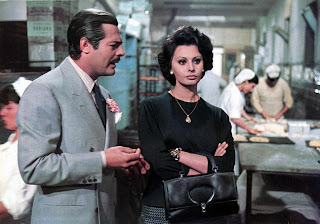 Her long time companion, respected businessman Domenico (Marcello Mastroianni) rushes to be by her side. With a doctor confirming that Filumena's prospects for recovery are looking grim, Domenico goes ahead and marries her, believing that she has hours to live. It's all a ruse. Filumena is fine, and orchestrated the drama to finally tie the knot with Domenico. The couple had met and fallen in love years earlier during World War Two, when Filumena was working at a brothel. They maintained an illicit relationship, with Domenico supporting Filumena and even taking her into his house on the pretense of caring for his mother. But he never took the step to propose and make the relationship respectable. Now Filumena forces the issue, and has a few more surprises in store for Domenico. 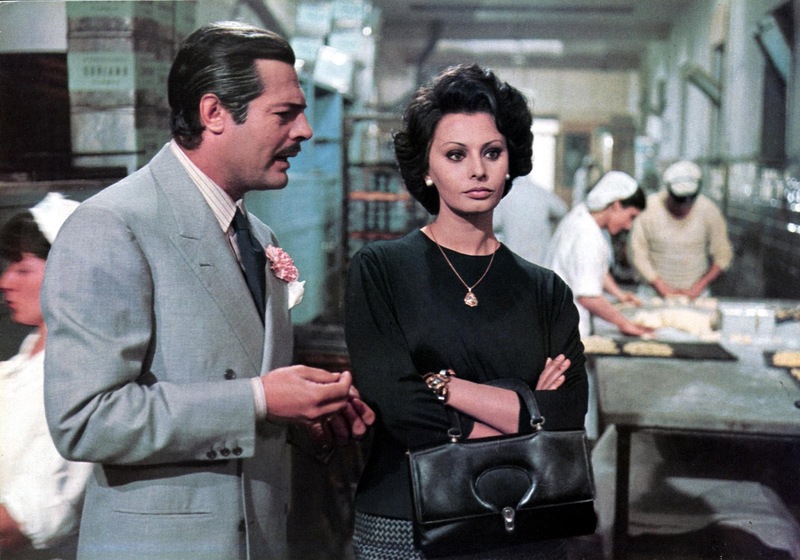 An earthy exploration of power dynamics between men and women directed by Vittorio De Sica, Marriage Italian Style benefits from a vibrant Sophia Loren performance representing womanhood engaged in the eternal fight for respect. Landing somewhere between deadly serious drama and derisive comedy, the film maintains a tone that demands attention while poking fun at a society adhering to superficial rules of paternalism. At the heart of the film is the contest between men and women to control the heart of the community. Domenico may think he is the master of his household, his various romantic affairs and his business, but his vulnerability is exposed as soon as Filumena decides to make a stand. Once she refuses to be taken for granted and springs her masterful offspring mystery, Domenico is helpless. On the surface he may control the present, but she controls the psychological future, and he will have to treat her with renewed respect, if she believes she deserves it. Loren has a lot to do in Marriage Italian Style, and she does it well. Filumena transitions from a frightened waif through to a life-loving woman in full bloom and finally to a mother demanding that her place be recognized, and Loren convinces at every turn. Her vivacious spirit is matched by Mastroianni's entitled restraint, and the two make for an appealing couple engaged in a life long private romance filled with genuine love and plenty of loud bickering. De Sica directs with an eye towards an Italy in transition, emerging from the war a battered nation creating ripe grounds for a rapid evolution towards a modern and more egalitarian society. Marriage Italian Style sometimes succumbs to the coarse theatricality of a film eager to report on a clever skirmish between the sexes, but it is a nevertheless enjoyable romp, brimming with heartfelt passion.